Cutting edge and contemporary in style fully 1 bedroom furnished apartment. This apartment has been refurbished to the highest quality specification. 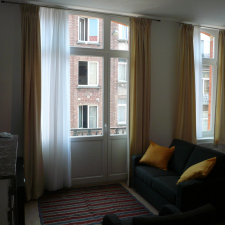 It is situated in the sought after EU area (rue Capiaumont 15).